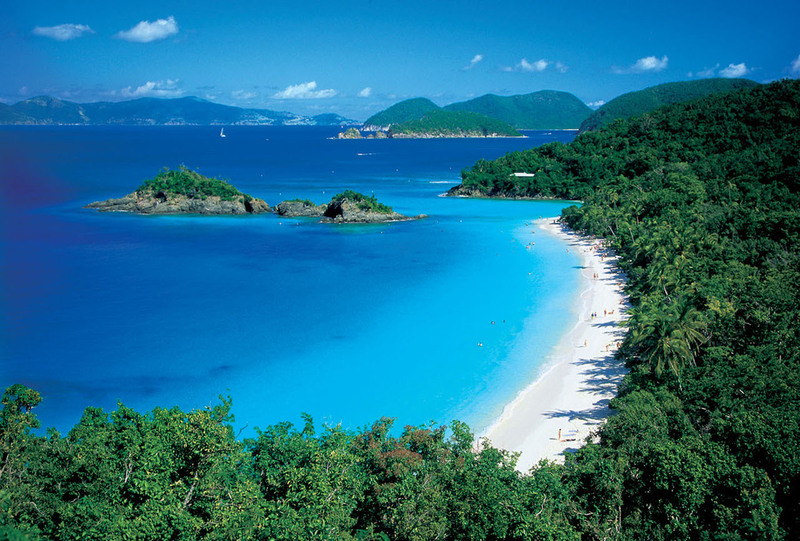 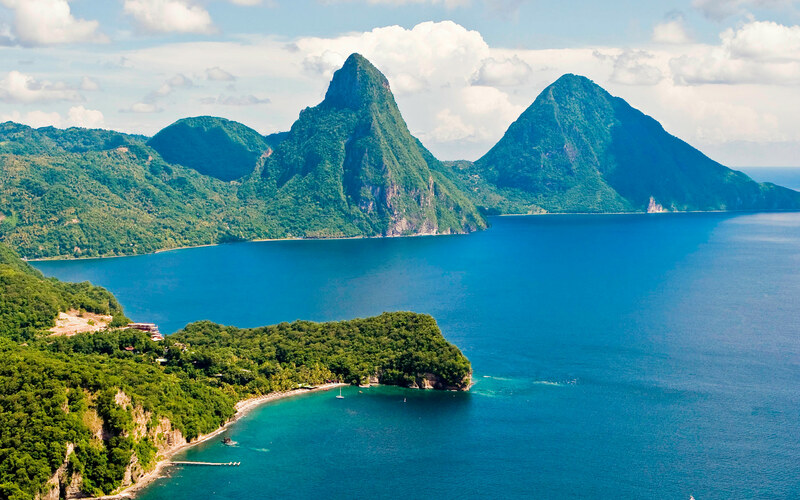 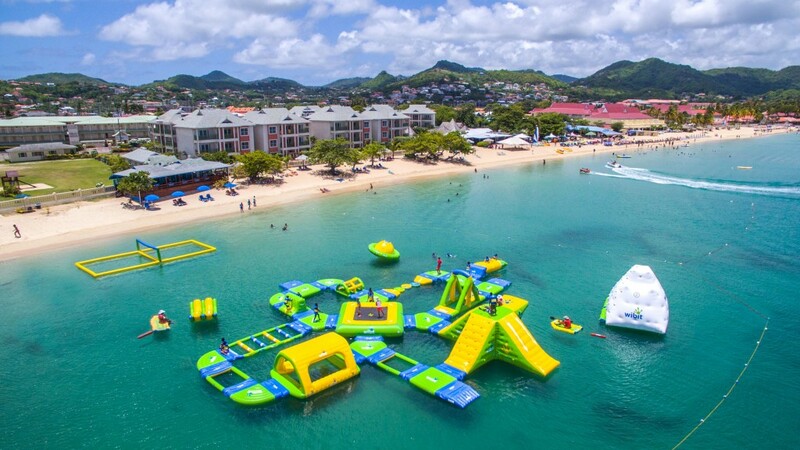 St. Lucia, a popular place for honeymooners. 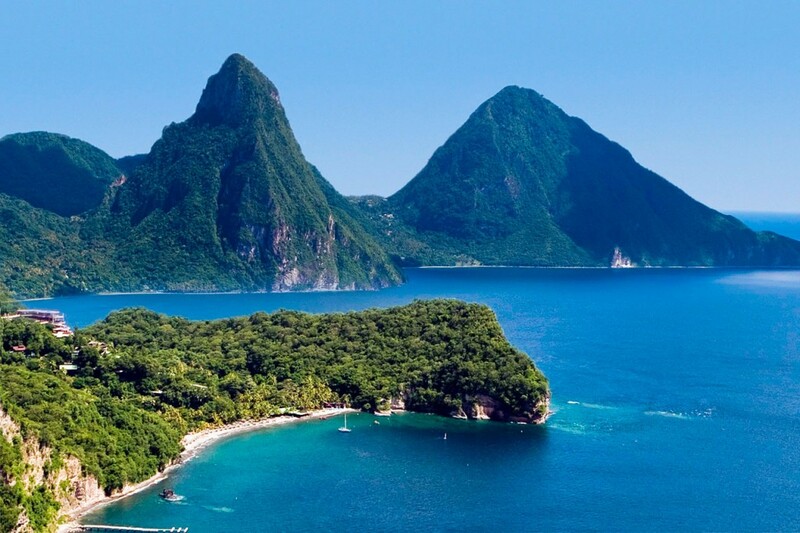 There are many resorts with lots of amenities, a lush landscape with mountains as well as pristine beaches. 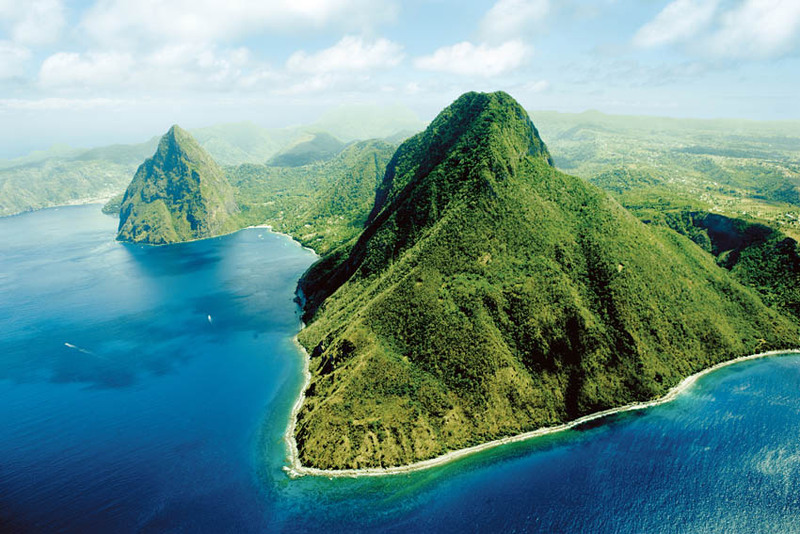 St. Lucia is also well known for its annual jazz festival.